Arsenal are set to back Arsene Wenger heavily after he signs his new contract with the club. Wenger will put pen to paper on a fresh two-year deal with the next 24 hours, according to The Mirror, with the newspaper adding that the Frenchman will then be handed a summer transfer kitty of £150m. And that’s just for starters. 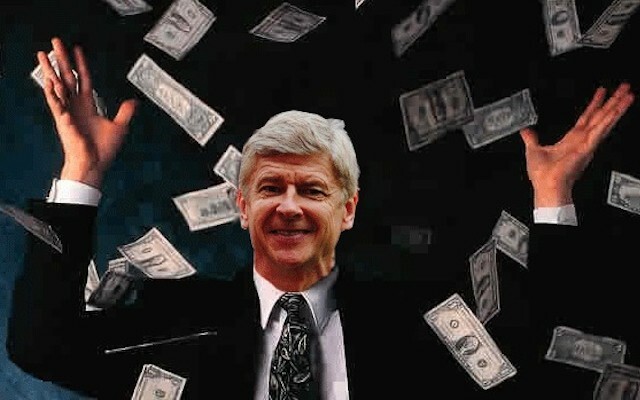 The Mirror report that Wenger’s transfer budget may increase further as a result of player sales. A major clear-out is on the cards at the Emirates Stadium, per The Mirror, with Jack Wilshere, Wojciech Szczesny, Joel Campbell, David Ospina and Kieran Gibbs all likely to leave. The Mirror claim that Wilshere has been the subject of interest from West Ham, while back-up goalkeeper Ospina is a target for Turkish giants Fenerbahce. Furthermore, the same source states that Arsenal striker Olivier Giroud is being eyed by Marseille, who are keen to take him back to his native France.